HELSINKI: Finns voted on Sunday in a general election in which widespread public dissatisfaction with recent spending cuts looked likely to propel the opposition Social Democratic Party back to government for the first time in 16 years. The left-wing party leads Finland´s two main opinion polls with about 19 percent of the vote, having campaigned against the austerity policies of Centre Party Prime Minister Juha Sipila and his Finance Minister Petteri Orpo -- leader of the conservative National Coalition Party. 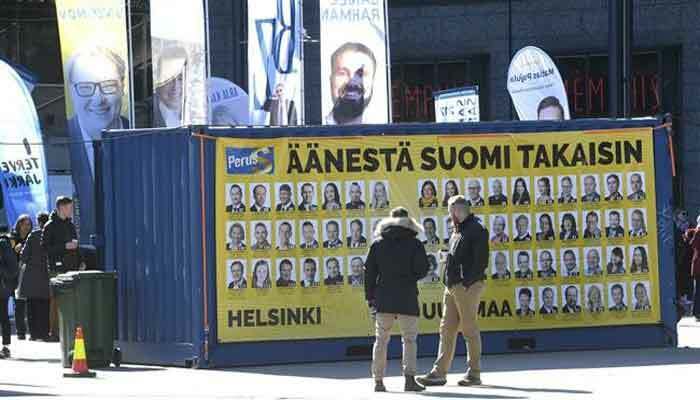 But the far-right Finns Party, led by hardline MEP Jussi Halla-aho, has seen a surge in support in recent months during an anti-immigration dominated campaign, urging people to "Vote for some borders". The current centre-right government, elected in 2015, promised to rebalance the nation´s economy after a prolonged slump with a programme of deep spending reductions. "There have been a lot of cuts and some, like education, in areas they promised they wouldn´t cut. Of course, the parties from the last government are going to suffer because of that now," she told AFP. Another voter, Katja Katajamaki, told AFP she felt the government´s austerity had gone "too far in some ways". "I don´t think that you just fix the situation with spending cuts," she said. Opinion polls suggest the Social Democrats´ lead has narrowed in recent weeks to as little as two points, ahead of the National Coalition and Finns Party which are battling it out for second place. The Finns Party has run a vocal campaign calling for asylum-based immigration to be reduced to almost zero, and decrying the "climate hysteria" of other parties seeking action against global warming. "You will be the next prime minister," one woman assured him. Finland has a rapidly ageing population and declining birth rate, and the question of how to keep funding the country´s generous welfare state has been a key election battleground. Yet the Social Democratic Party may face tough economic conditions in which to implement its anti-austerity promises: many economic forecasts suggest Finland´s GDP growth will slow in the coming years. Immigration became a hot election topic despite Finland being western Europe´s most homogenous country with a foreign-born population of just 6.6 percent. In January, outrage over highly publicised reports of an alleged string of sexual assaults by immigrant men boosted support for the Finns Party´s anti-immigration agenda.